Aspects of Political Ideas and Institutions in Ancient India. By Ram Sharam Sharma. 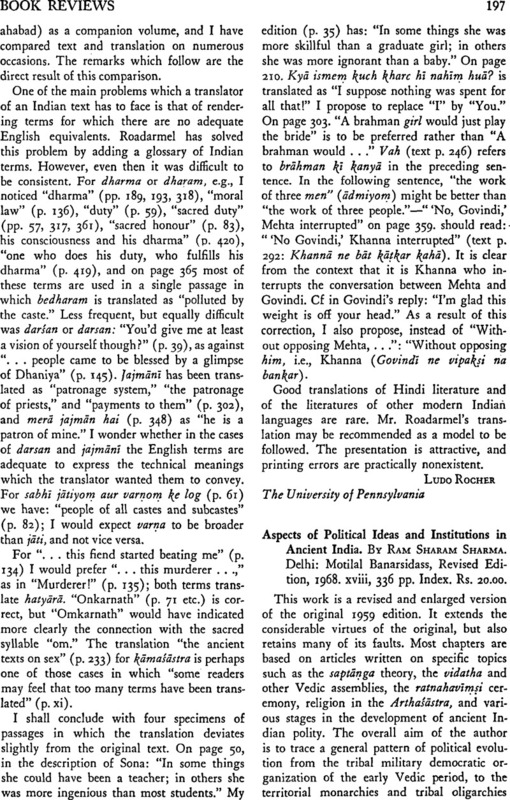 Delhi: Motilal Banarsidass, Revised Edition, 1968. xviii, 336 pp. Index. Rs. 20.00.